“Consider the Oyster,” MFK Fisher famously wrote. Just saying the title out loud makes me crave them. 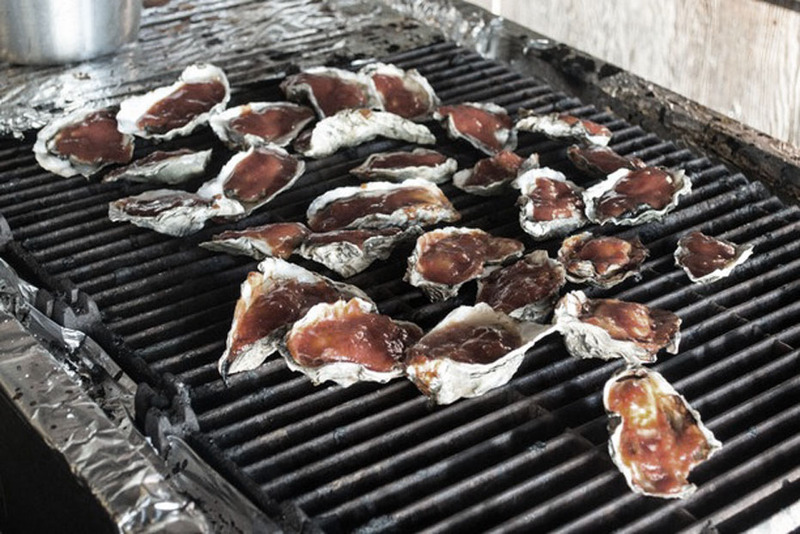 Our group, like most of the planet, is firmly divided into those who love oysters and a sad, misguided segment that literally gags at the thought of them. Not me. And since I’m in charge of today’s itinerary, we’ve driven to the tiny hamlet of Marshall on the eastern shore of Tomales Bay, about 30 miles south of Spirit Hill Farm. Tomales is bivalve heaven. 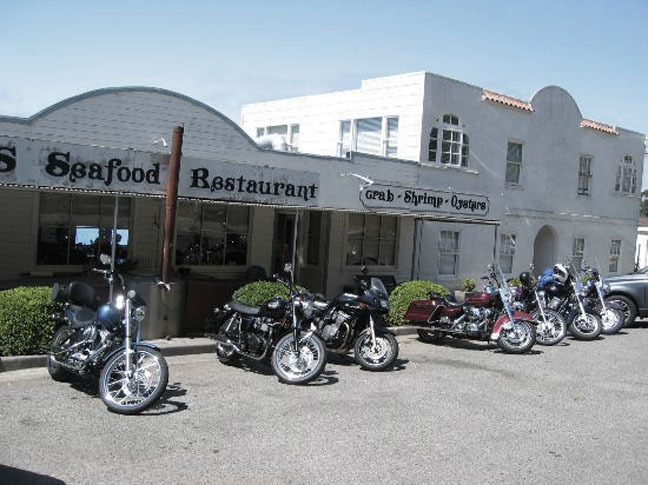 It’s lunchtime, conveniently, so we’ve pulled off at Tony’s Seafood Restaurant. 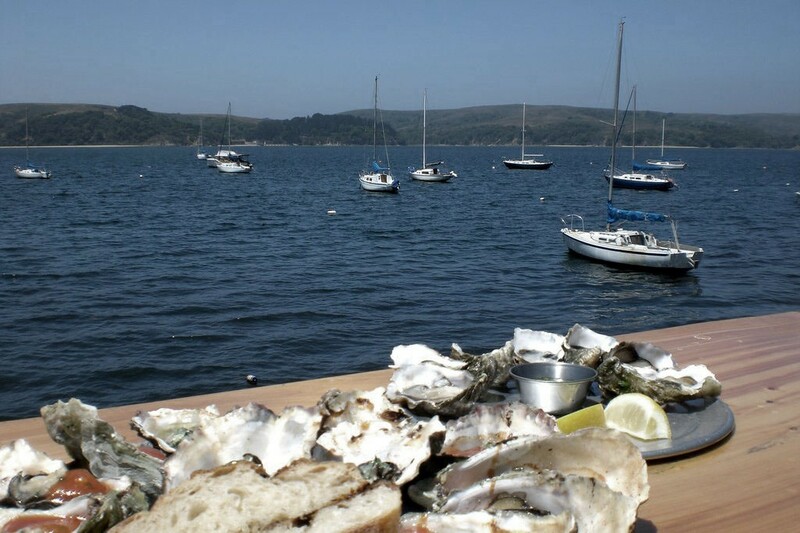 There are better known spots along this stretch of road – Nick’s Cove, Tomales Bay, Hog Island Oysters, The Marshall Store – but this place has what you might call, ambience. The row of Harleys out front seems forbidding at first but the riders are mostly Walter Mitty types escaping conformity for an afternoon. There are noisy families with their texting teens, sunburnt tourists in sandals and socks, and a few grizzled locals, smoking cigarettes and drinking beer. I am hungry, seriously hungry, so I order a mixed platter of raw, BBQ and chorizo oysters without bothering to ask what anyone else wants. Nobody notices; they’re all staring at the boats bobbing in the water. A round of IPAs arrives. The menu here is tiny, chalkboard-size, which I take as a good sign. It’s a crab shack; there’s no room for complicated. Shrimp cocktail, Dungeness crab sandwiches, and for the less adventurous, smoked turkey and tri-tip. Another round of beers, some selfies and we’re . . . not quite ready to leave. What is it about being close to the water? It lulls you into submission. A not-terribly-informed discussion is under way about the San Andreas Fault, which runs directly beneath the Bay and separates the Point Reyes peninsula from Marin. Did an earthquake shear it away from the mainland? Or did it drift north from LA? The tab for lunch is wagered but all bets are off as there’s no cell reception. Without google, how can we be sure of anything?